"My Workbook: Coreforms & Keywords 1.01" is an ongoing art action by Deborah Adams Doering and DOE Projekts. 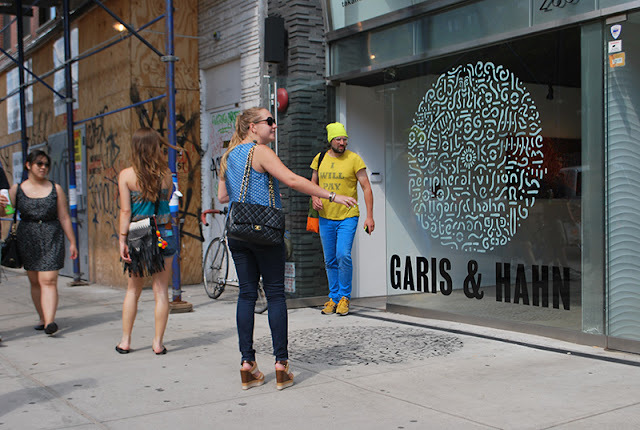 On June 15, 2012, from 2 to 7 pm, Garis & Hahn Gallery, 263 Bowery Street, NYC, held a "Finessage" for their exhibition titled "Peripheral Visions: Contemporary Art from Austrialia." 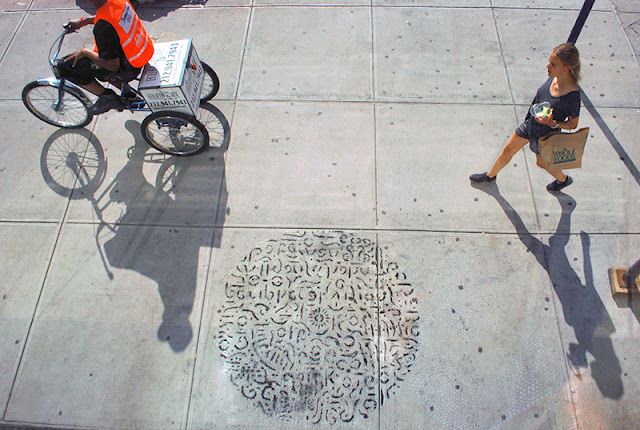 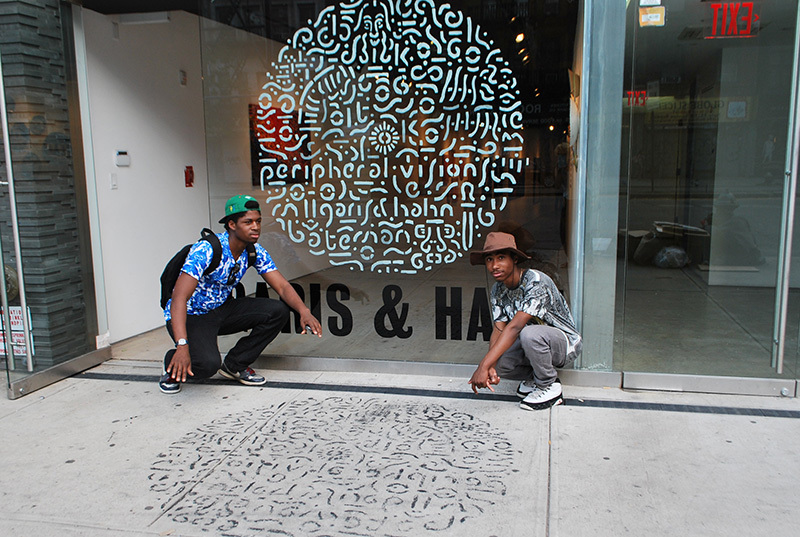 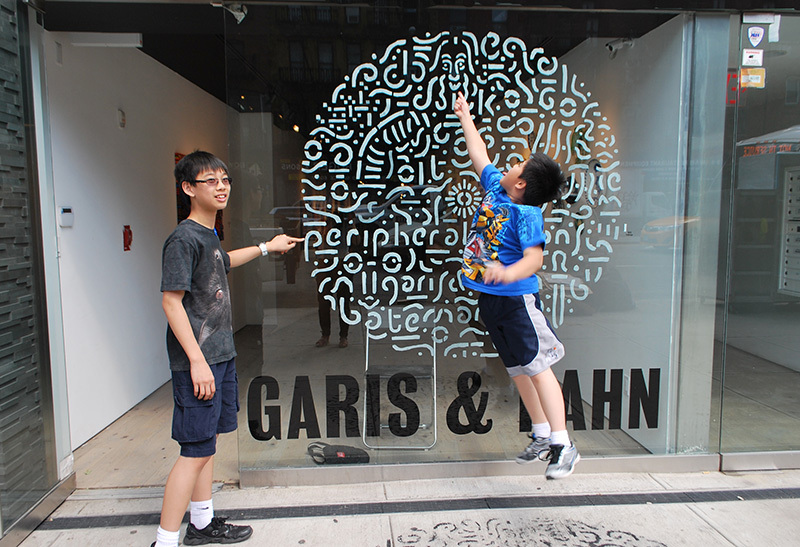 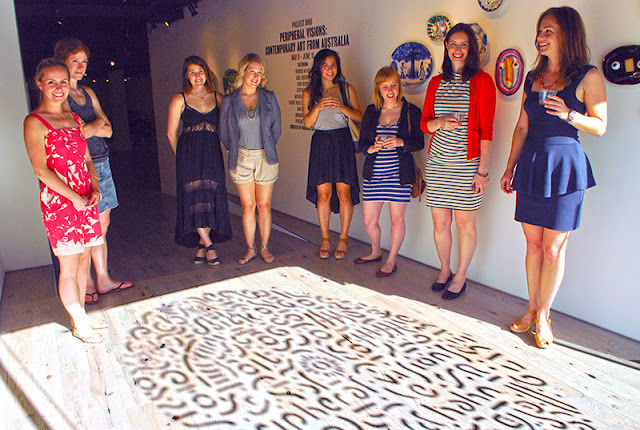 As part of the Finessage, Garis & Hahn hosted DOE Projekts' Coreform "Stencil Bomb" art action. 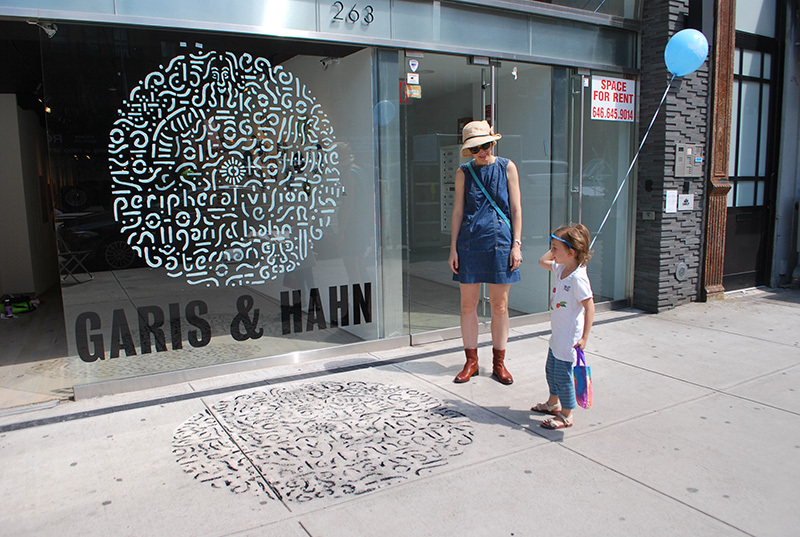 Gallery visitors and pedestrians interacted with the temporary works throughout the afternoon and evening. DOE Projekts thanks gallerists Mary Garis and Sophie Hahn for their hospitality and help in the realization of these Coreform Stencil Bombs!